Family Foot and Leg Center, P.A. Stem cells are a class of undifferentiated or “primitive” cells that are able to divide and differentiate into specialized cells of the body such as skin, bone, muscle cells, blood cells, liver cells, and the like. The two main types are embryonic stem cells and adult stem cells. Embryonic stem cells are derived from the inner cells mass of blastocysts of pre-implantation stage embryos. Adult stem cells are less controversial than embryonic stem cells because their production does not involve the destruction of an embryo. It is now possible to take stem cells from the amniotic fluid and reprogram them to a more versatile state akin to embryonic stem cells. Using stem cells from amniotic fluid overcomes the ethical opposition to using human embryos as a source of cells. Amniotic stem cells have a wide range of applications that can be used in research and treatment. A study confirms that the amniotic fluid is a good source of stem cells. This is seen to be more acceptable because this involves no genetic manipulation. Amniotic stem cells can differentiate into various types such as muscle, skin, bone, cartilage, cardiac tissue, nerves, and have a great potential in various medical applications. 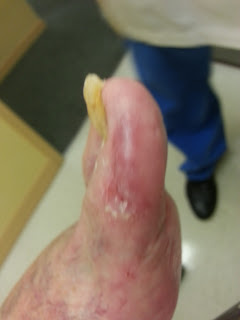 Wound healing is a major health problem. 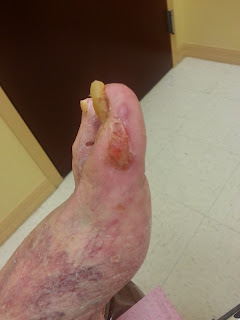 Chronic wounds such as a leg ulcer, a foot wound caused by diabetes, and other slow healing wounds have a biological or physiological cause for not healing. Among diabetics, for instance, it is estimated that 15 percent of these patients will develop an open foot sore or diabetic foot ulcer. These chronic wounds have been difficult to cure. Today, the use of stem cell therapy along in combination with medications and proper wound care can help encourage better wound healing. Stem cell rich materials injected into the area can allow for effective wound healing that otherwise can take considerably longer to heal or may not have healed otherwise. Amniotic stem cell treatments are now revolutionizing chronic wound treatments. Recent studies show that stem cell therapy can dramatically improve the condition of chronic and deeper wounds which would otherwise require more lengthy and expensive rehabilitation. The healing activity of stem cells is due to their ability to separate into the different component cells of injured tissues as well as release growth factors that may encourage the formation of new blood vessels in the patient. It has been evident that these cells have the ability to multiply, integrate with the host tissue, and replace the damaged cells. Using amniotic stem cells in wound healing have sped up the rate of recovery and the results have been outstanding, saving limbs / lives. 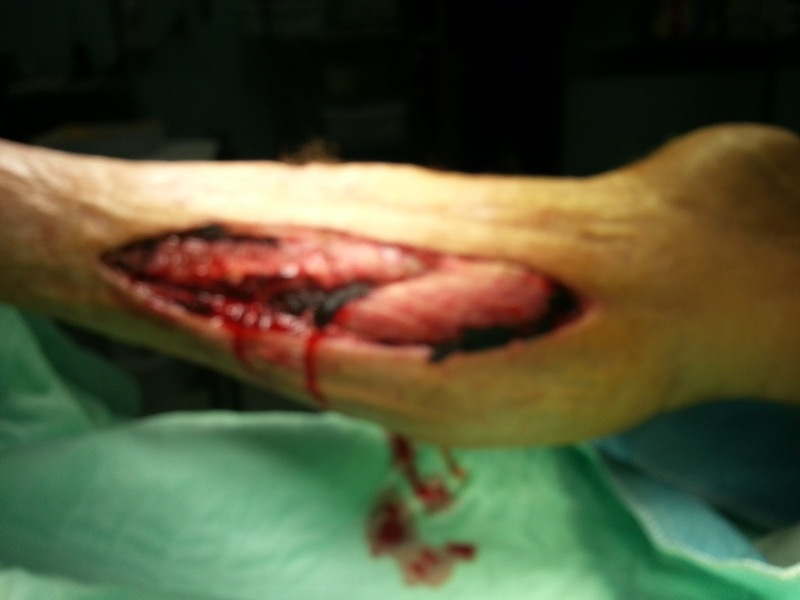 Podiatric Surgeon called for consult for large wound s/p fasciotomy for limb salvage. First Podiatric surgery entails debridement and injection of amniotic tissue injectable graft 1.25 cc x 4 vials at a one to one mixture with lidocaine plain. Injection done at 12,3,6,9 o clock locations. 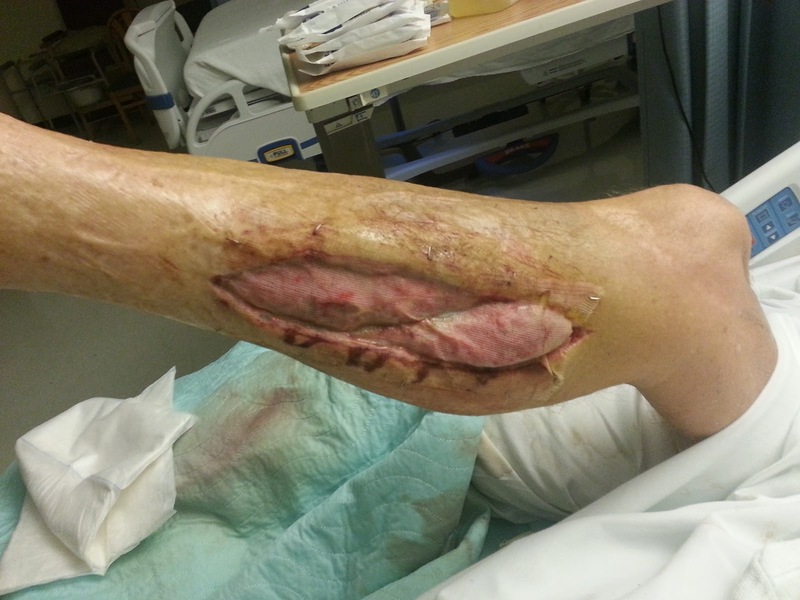 Healthy Medial Leg Wound 2 Weeks Later, applied injectible Liquidgen graft ( 1.25ml inject ) and Amniotic Matrix Graft secured with Steristrips. Healing Healthy Medial Leg Granulation just 2 wks after the above picture. 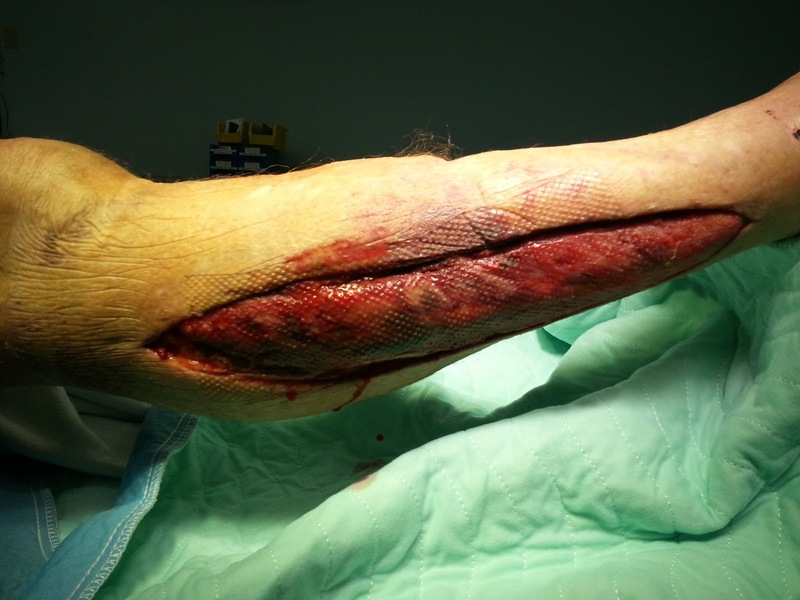 Experience with Amniotic injectable and matrix grafting has been amazing for limb salvage. Another Limb Saved at the Family Foot and Leg Center, PA. Besides wounds the injectable graft has been used for none unions as well as aid in reconstructive foot / ankle surgery to help ensure a union in difficult cases. I did not know much about this treatment and also about this disease. So while searching for these information on this treatment on the internet , I found that if one person who is diagnosed with it get stem cell therapy it might cure their disease.